Now on Sale and available with FREE shipping for a limited time: Enter coupon code "RTL FREE Shipping" or call toll free 1-877-986-9400. 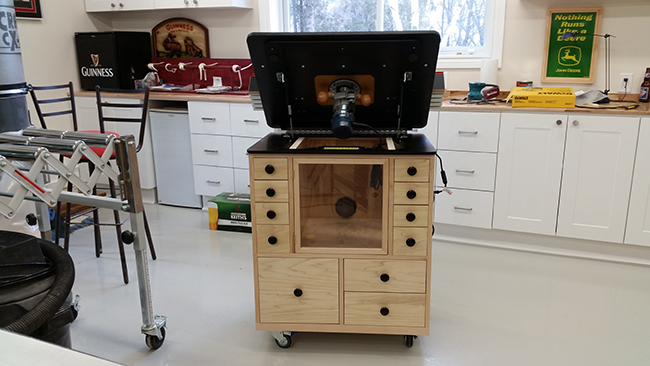 YouTube channel Woodworker 631 tests the lift by building a new router station and installing it with a new top. 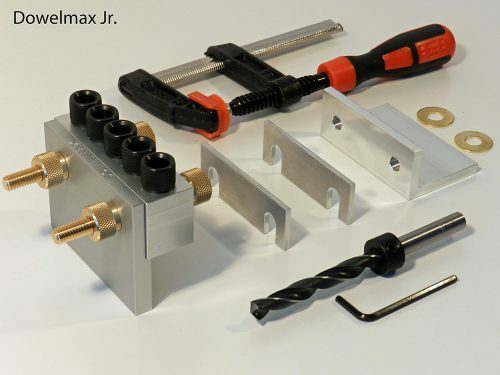 Well designed and hinged allowing the user to lift the entire router/router table to an angled position (approximately 45 degrees). This is made easy by two gas piston shocks. 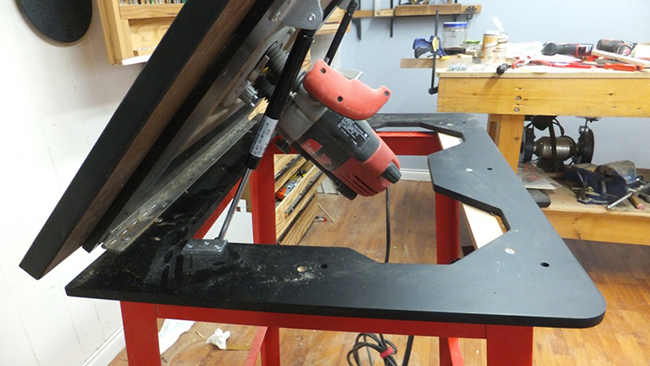 Allows me to conveniently sight down the lifted table to the router bit where I can then adjust the bit to desired height. 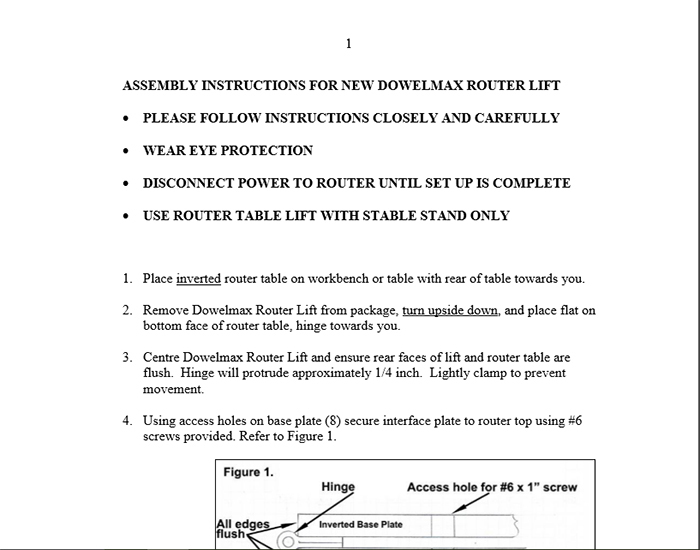 All adjustments on the router are easily within reach while I am in a standing position. 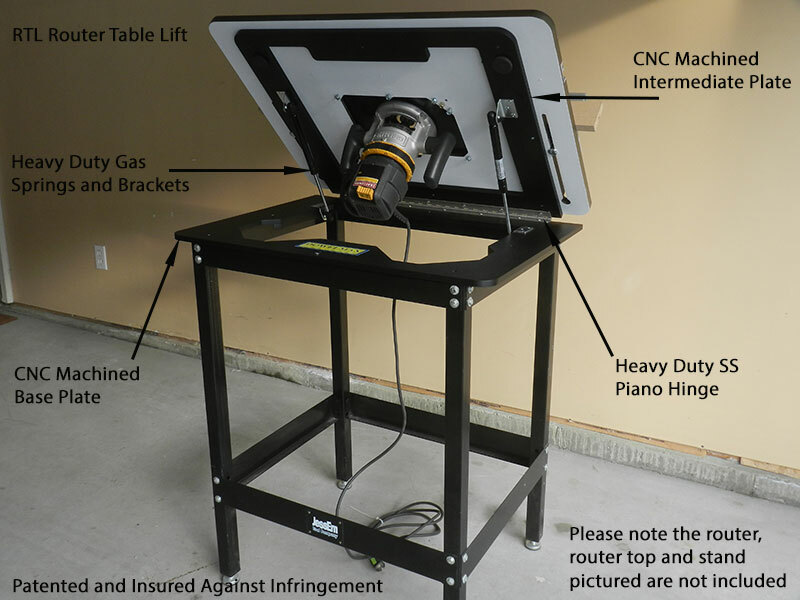 You never have to bend down to lift the table or adjust the router. I find this great as my back is not in great shape. 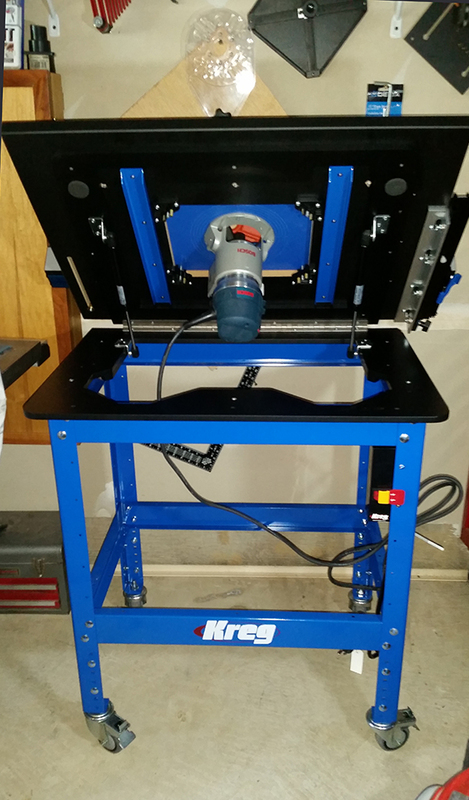 The seated position of the lift feels very stable and as I move it up or down there is absolutely no wobble and it feels smooth and solid. 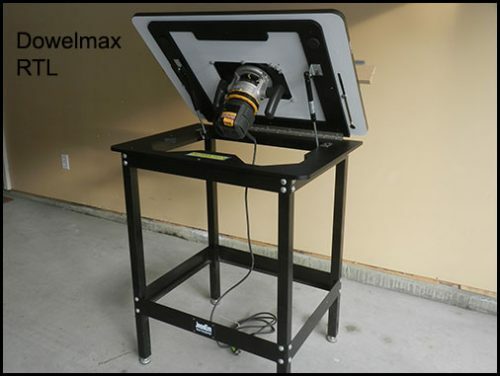 Although different engineering and technology than many router lifts on the market, the router lift by Dowelmax does exactly what I want it to do and is 1/3 the price of the other lifts just mentioned. 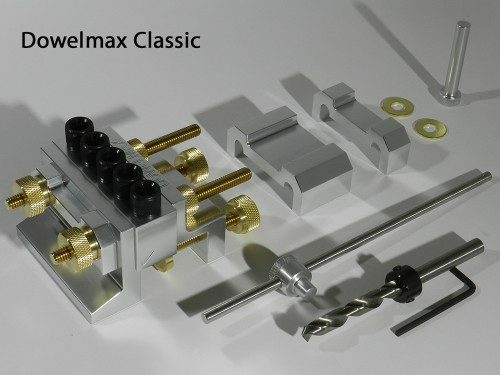 The lift is attractive and the installation instructions are good. 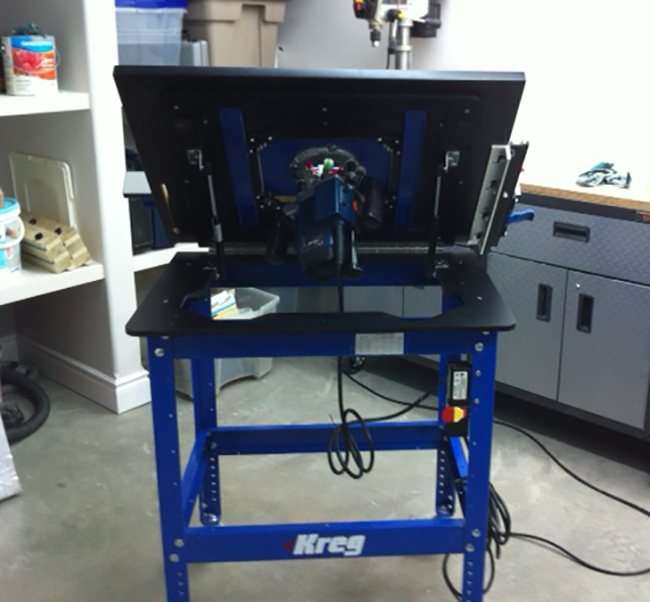 Daniel's router table lift installation - very nice! 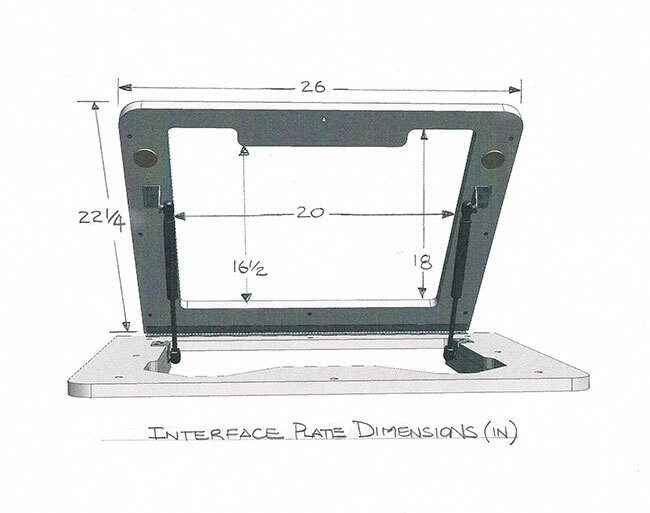 Interface plate attaches to underside of a standard 32 x 24 inch router top. 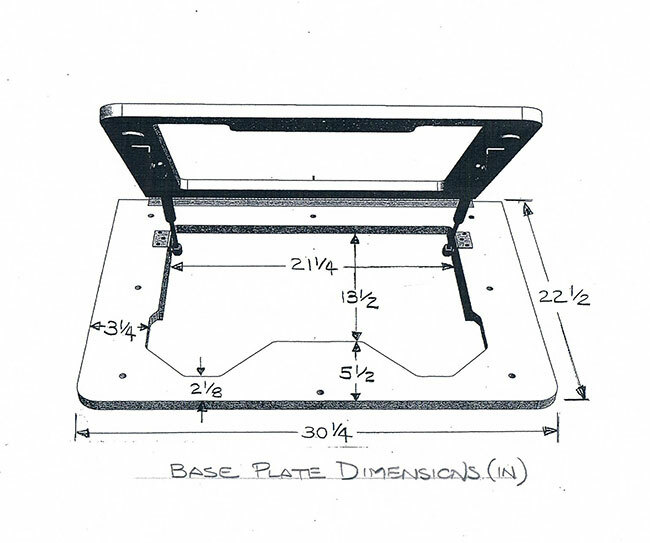 Base plate attaches to a stand used to support a standard 32 x 24 inch router top.